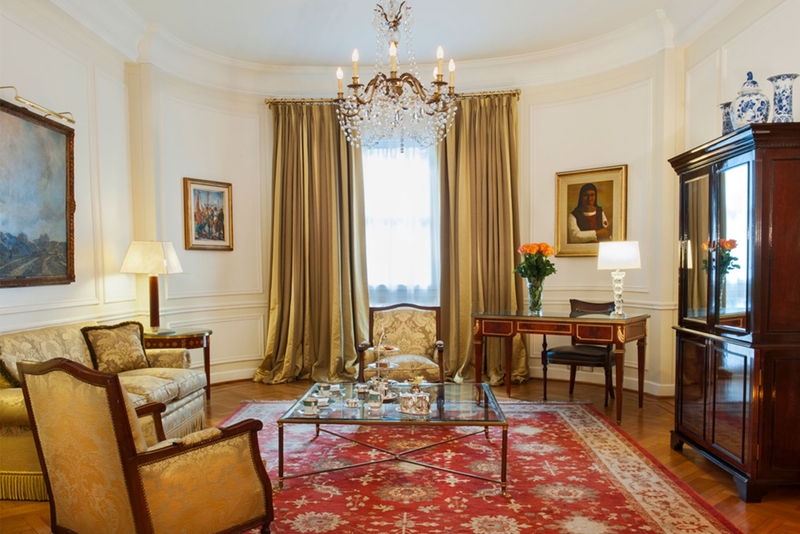 Spacious and bright Executive Governor suites are located in the attractive corners of the building with privileged views of Recoleta neighborhood. 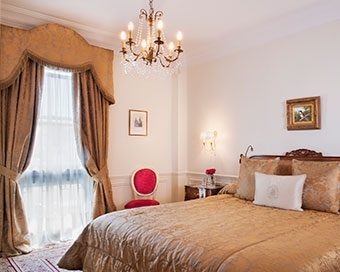 Designed in a modern French style, decoration highlights elegant furniture and a warm mixture of fabrics and carpets that reveals their timeless chic elegance. 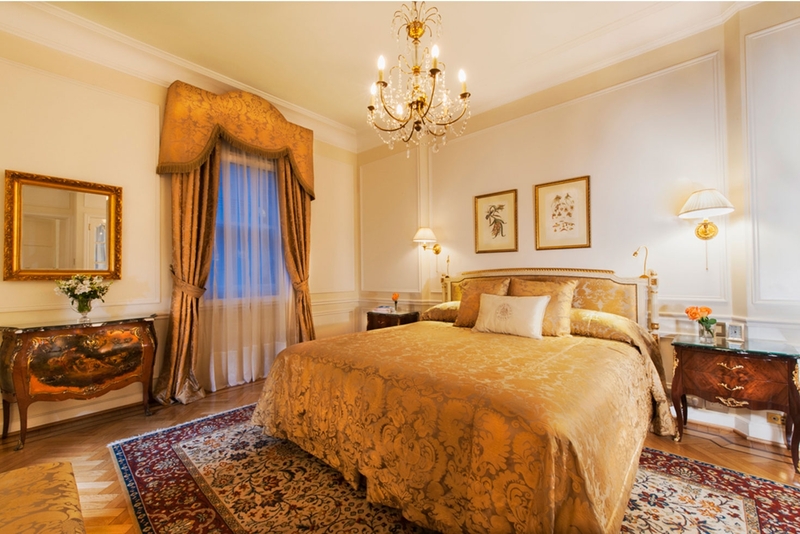 The rich selection of French fabrics in gold colors, original design carpets and bronze and crystal chandeliers recreate a serene luxury space. 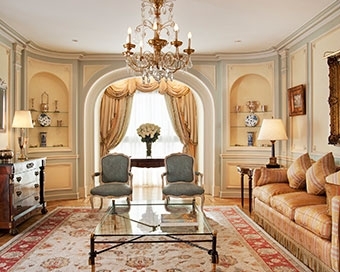 To enjoy memorable moments, they have a reception hall, an oval living room, and a comfortable bedroom. 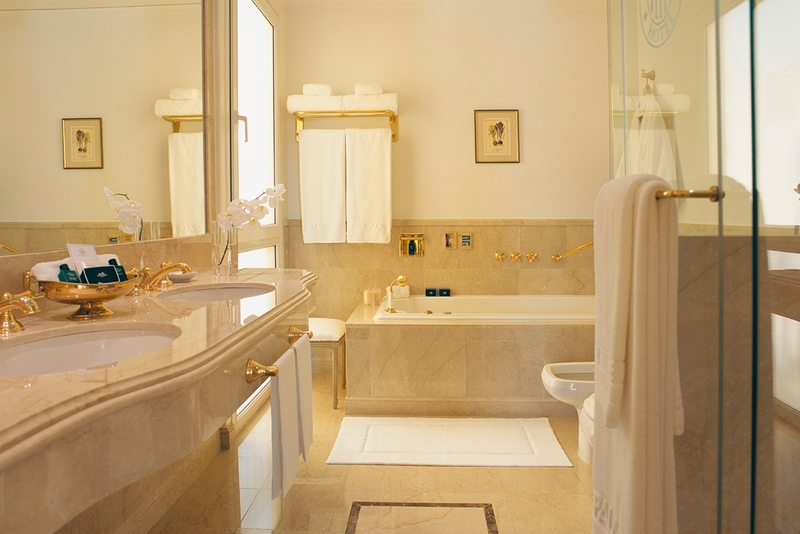 Relax in the splendid bathroom covered in botticino marble, well-appointed with Jacuzzi, independent shower box, and exclusive Hermès toiletries. 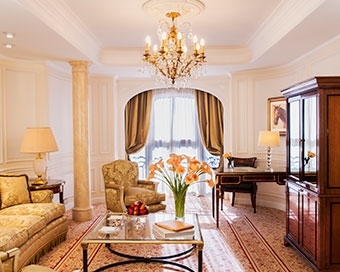 These suites are connected with Junior category, being perfect to welcome families, delegations, and committees.